NARS. Oh, NARS. My favourite makeup brand of all time whose products I am yet to fault. They’ve been at the very top of my list ever since I bought the cult Sheer Glow forever ago and have rightfully remained there ever since. Every aspect of the NARS makeup line seems to be completely perfect, well thought out and executed. Everything down to the packaging and the shade choices just works. 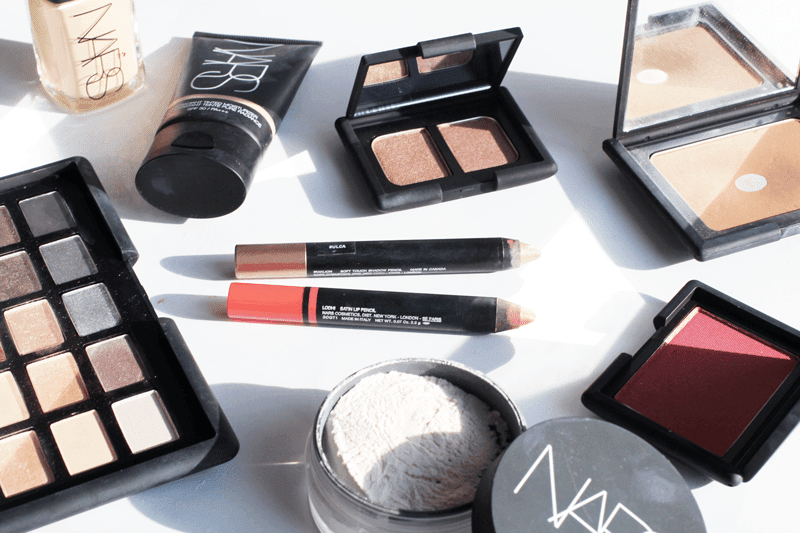 I’ll run through my favourite NARS picks so you can all run out to your local Space NK and snap it all up. I’ve tried two base products from NARS and adore them both equally. As mentioned, the NARS Sheer Glow was my first introduction to the brand and one I’ll probably use forever. Despite the name, it gives medium, buildable coverage and a natural, glowy finish which lasts the full day. One of my all time favourite foundations! Next is the NARS Pure Radiant Tinted Moisturiser is my top pick of its kind, as I don’t often wear a really light base. This blurs imperfections and gives skin such a radiance, without looking shiny. Plus the SPF30 makes it a great day-to-day option which keeps your skin protected. As for powder, my favourite is the NARS Light Reflecting Setting Powder which is one of the most finely milled powders I’ve ever used. It does add a natural diffused light look to the face when applied and never goes on cakey, which is perfect for under the eyes! You can’t talk about NARS without mentioning their blushes or famous bronzer. I never knew I needed the NARS Laguna Bronzer until one was accidentally posted to me along with an online beauty spree, but now I wouldn’t be without. Finding a non-orange/muddy bronzer is hard, but this one ticks all the boxes for those of us who aren’t blessed with a tan (read: casper complexion) and adds definition to the face. Their blush is a bit of a cult classic and, although I don’t have the usual risque named options, I do have a good 5/6 strong collection of ideal shades. NARS Blushes (and the NARS Multiples) always look so natural on the skin and are easy to blend. My favourite shades have to be Sin, Luster, Amour, Outlaw and Doucer. I adore NARS eyeshadows, they’re soft, buildable and the colours are always stunning. They have a huge rage to pick from too, from palettes to duo’s. I wouldn’t be without my NARS NARSissist Palette now and am oh so sad that it’s limited edition, as I pretty much want to use it forever. Their NARS And God Created The Woman Palette is the perfect size to pop in your makeup bag and has six gorgeous shades, plus it’s still available as it’s exclusive to Space NK. The duo’s are amazing for creating a quick look, mine is NARS Duo Eyeshadow in Kalahari and it’s the perfect colour combo. A recent foray to my local counter left a dint in my bank account and a new NARS Soft Touch Eyeshadow Pencil in my collection. I only have the one, but they’re wonderful to use so more will most certainly be coming home with me in future. I have a full post about my favourite lip pencils coming up and of course the NARS ones had to feature. I couldn’t not mention them here, as they’re some of my most worn lip products and I always have at least one in my bag at all times. My favourites are the NARS Velvet Matte Lip Pencil‘s and the NARS Satin Lip Pencil‘s, as you can gather one is a matte (yet non-drying) finish and the other has a slightly less matte look, but the colours are always highly pigmented and long lasting! So that’s everything I adore from NARS, no doubt there’ll be more added to the collection as there’s still bits I want to try out. Rumour has it they’re releasing a whopping 40 new lipsticks so I’ll be keeping my eye out for them! 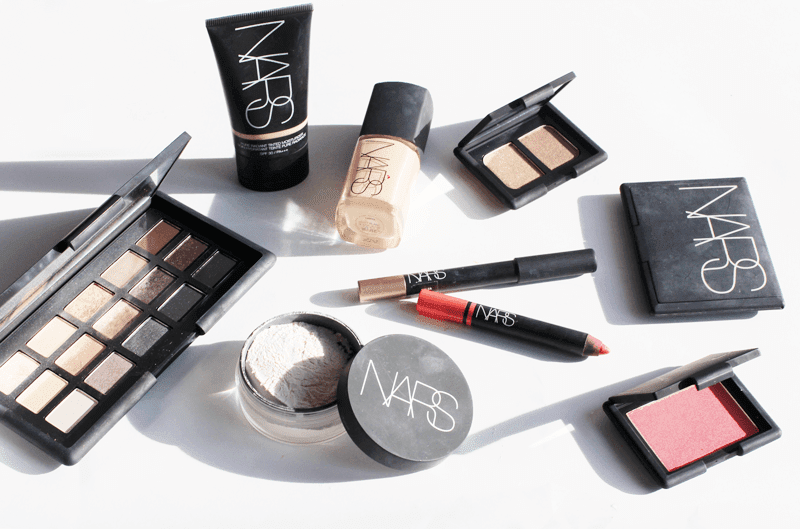 Do you like NARS? What’s your favourite product?